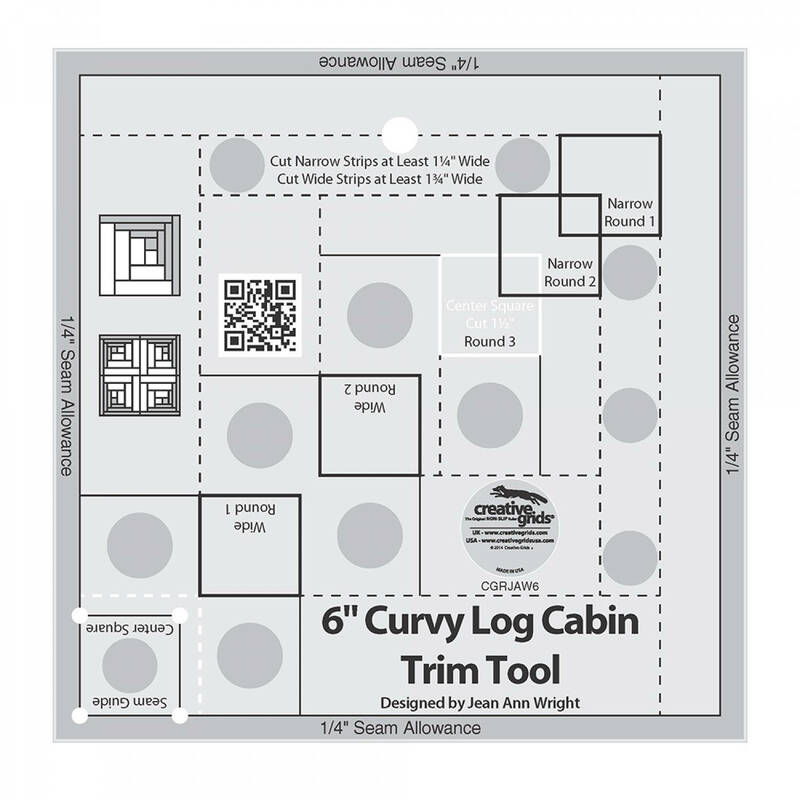 Create the illusion of curves with this 6 inch version of our popular Curvy Log Cabin Trim Tool. 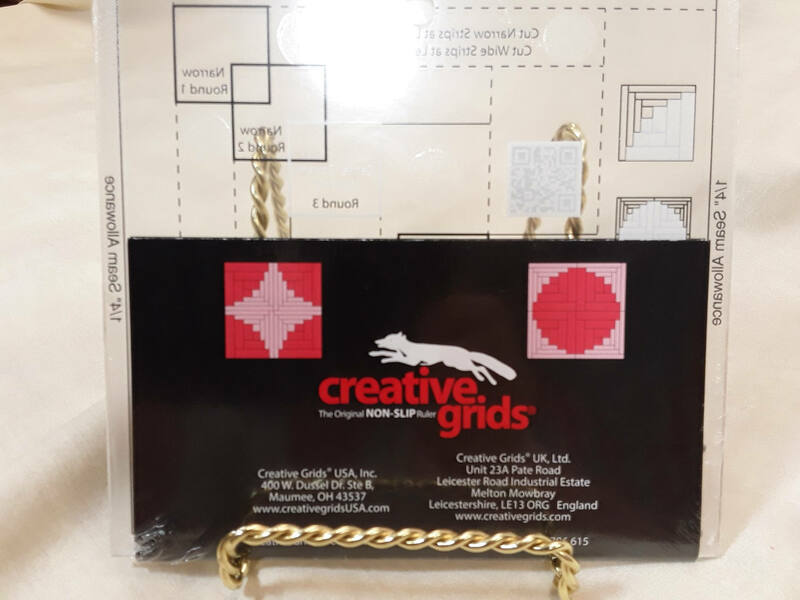 Mark the wrong side of the center square through the holes on the ruler to ensure a perfect seam allowance. Then sew a round – two narrow strips and two wide strips and trim. Add two more rounds to complete a perfect 6 inch finished block. Sew four blocks together to “piece” a circle which finishes to 12 inches.